A study actuated by my never ending inspiration Mondrian. I suppose you could have some fun and overlay colour in certain sections :) Excellent reference and love the tones as is actually. 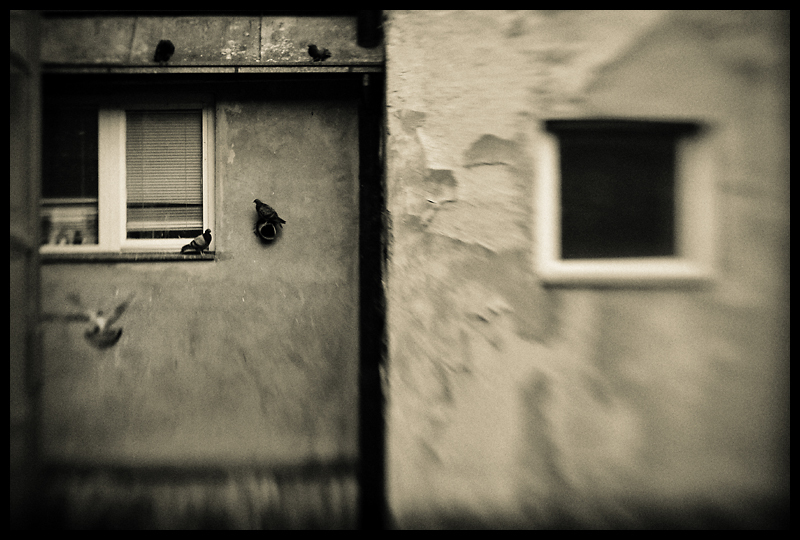 I like the use of blur in combination with the geometry of the windows. It's like I'm looking at 2 pictures. Also, it makes me wonder what is going on over at the one window. Mondrian was ahead of his time, a genius of geometric design. This has an interesting perspective and time warp effect. Mondrian without bright colors is not a Mondrian IMO. I agree Lev. However, the study was only inspired by Mondrian's graphical minimalism, I had no intention to literally copy his style, but just to use the basic idea of simple shapes. I'm liking this one a lot. Proudly hosted by Sargasso Networks. Current Server Time: 04/21/2019 04:45:41 PM EDT.